Pocket Casts likely needs no introduction—it is the #1 top paid app on the Play Store in the News & Magazines category, after all. NPR and This American Life should also be familiar to most modern occupants of the internet, while the two regional broadcasting studios are well-known for producing a variety of content, including some for NPR, as well as podcasts including 2 Dope Queens, the "Making" series, and Serial. Owen Grover is pegged to be the CEO of Pocket Casts going forward, having previously served as a high-level executive at iHeartRadio and Clear Channel. Pocket Casts founders Philip Simpson and Russel Ivanovic will hang around in currently undefined leadership roles. According to a statement received by The Verge, Ivanovic is optimistic about the purchase. The developers have received other offers for a buy-out in the past but turned them down. NPR and co seem to have made the right promises, though, with Ivanovich saying, "the unique thing about this opportunity is the mission driven nature of these organizations. They want what’s best for the podcasting space, they want to build open systems that everyone can use." NPR affirmed in its press release that users of the app will continue to enjoy many of the features they previously did, and the new app won't serve as a replacement for NPR's existing NPR One or NPR apps. Financial details for the purchase weren't mentioned, and Pocket Casts' existing staff and developers will remain in place. Pocket Casts, in its recent blog post on the subject, re-iterated that it believes NPR and its fellows' non-profit mission and passion fit in the framework the developers envision. Nothing about the app is changing in the short-term. It will remain a paid app, and it will still be built for the use of the entire podcast industry. We'll have to see what sort of impact the purchase has on the app, but with the disclosures made so far, I'm optimistic that the influence of public radio on Pocket Casts should be beneficial. With the extra resources its purchasers can provide, the already wonderful cross-platform app may even improve. 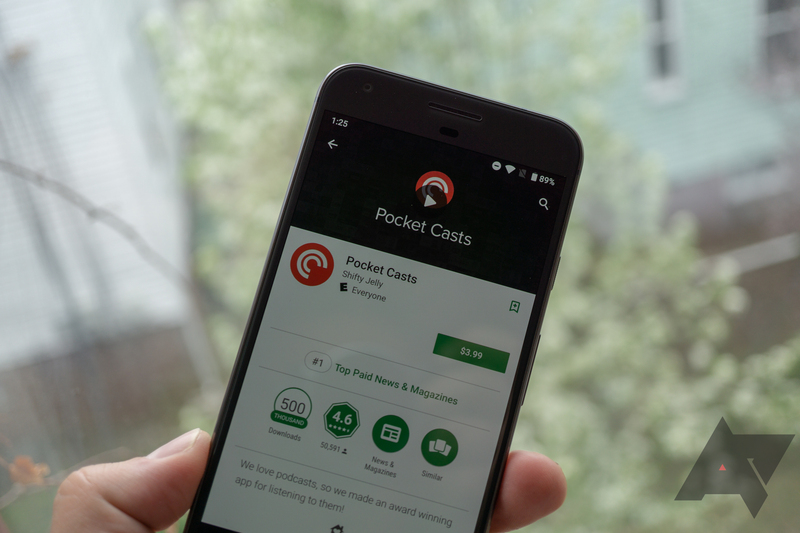 Pocket Casts' creators have dispelled some concerns from users on their blog. They address the questions about selling and collecting user data, ads, and pushing content from the four networks instead of independently curating content.